What Is Targeting in Marketing? Why Is Targeting in Marketing So Important? Though many search marketers focus primarily on non-branded searches, it's crucial to invest in a branded search strategy. When it comes to marketing, if you're trying to talk to everybody, you're going to have a difficult time reaching anybody. Vague and generic messages are far less likely to resonate with audiences than specific, direct communication-which is why targeting in marketing is so important. Targeting in marketing is a strategy that breaks a large market into smaller segments to concentrate on a specific group of customers within that audience. It defines a segment of customers based on their unique characteristics and focuses solely on serving them. Instead of trying to reach an entire market, a brand uses target marketing to put their energy into connecting with a specific, defined group within that market. Geographic Areas: neighborhood, area code, city, region, country, etc. For example, a brand that sells day planners may decide to focus on a smaller, specific target market. Instead of marketing to the masses, they may focus solely on selling planners to female business owners. Or they could choose to exclusively market to high school teachers. Both examples are smaller, more specific segments of the day planner's potential market. 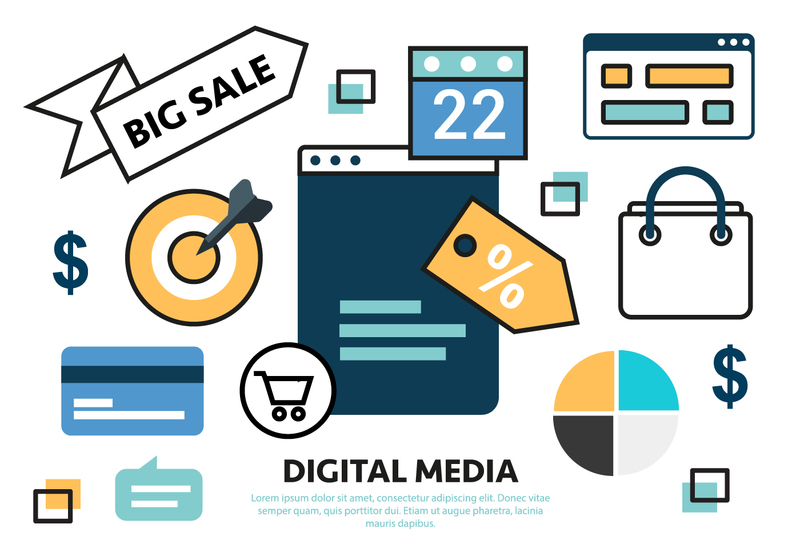 Why Is Targeting in Digital Marketing So Important? Speak directly to a defined audience. Digital Marketing messages resonate more deeply with audiences when readers can relate directly to the information. Brands that have a large, varied market of customers often struggle with creating marketing campaigns that speak directly to their audience. Because their viewers are very different, few slogans or stories can resonate with each person on a personal level. Through target marketing, you can alleviate this problem and focus on crafting messages for one specific audience. Attract and convert high-quality leads. When you speak directly to the people you want to target, you are more likely to attract the right people. Your marketing will more effectively reach the people most likely to want to do business with you. When you connect with the right people, you are then more likely to get high-quality, qualified leads that will turn into paying customers. Differentiate your brand from competitors. When you stop trying to speak to every customer in your market and start focusing on a smaller segment of that audience, you also start to stand out from competitors in your industry. When customers can clearly identify with your brand and your unique selling propositions, they will choose you over a competitor that isn't specifically speaking to or targeting them. You can use your positioning in marketing to make your brand more well-known and unique. Build deeper customer loyalty. The ability to stand out from competitors by reaching your customers on a more personal, human level also creates longer-lasting relationships. When customers identify with your brand and feel like you are an advocate for their specific perspectives and needs, they will likely be more loyal to your brand and continue to do business with you over a longer period of time. Improve products and services. Knowing your customers more intimately also helps you look at your products and services in a new way. When you have a deep understanding of your target audience, you can put yourself in their shoes and see how you can improve your offerings. You can see what features you can add to better serve your customers. Stay focused. Finally, the benefit of using targeting in marketing is that it also serves to help your brand and team. Target marketing allows you to get more specific about your marketing strategies, initiatives, and direction of your brand. It helps you clarify your vision and get everyone in the organization on the same page. You have more direction when it comes to shaping upcoming plans for both marketing and the business as a whole. A focused approach helps you fully optimize your resources, time, and budget. Using targeting in marketing serves both customers and brands. It improves product development and operations, and it allows a brand to differentiate itself, stand out, and make a bigger impact. But before you start target marketing, you need something important. While targeting non-branded search terms plays an essential role in your overall search strategy, many brands still underestimate and neglect the power of branded search terms. By relying on the strength of a brand and integrating branded search tactics with current non-branded search strategies, your business can discover more qualified leads — and, as a result, increase conversions. For many established companies, their branded terms make up a majority of their keyword profile. If people are searching for your brand or products by name, they're likely deeper within the sales funnel. In fact, Google has found that branded keywords have over two times higher conversion rates when compared to non-branded terms. So why would brands shy away from increasing or stepping up their branded search efforts? Let's flip the script and put you in the customer’s shoes. Say you're searching for a fitness tracker your brother would love this holiday season. When you begin your gift hunt, are you more likely to search for “best fitness tracker for men,” or for “best Fitbit for men”? Due to the Fitbit's brand awareness efforts, the product is iconic enough that consumers search for it more often than non-branded terms. Search engines like Google, Bing and Amazon recognize the strength of the brand — SERP layouts and competitive pricing reflect this. Brands working to improve their conversions need to work the entire Digital Marketing funnel. For brands or products well-known enough for branded search terms to be relevant to audiences, it's important to know how audiences discover your products so you can target these branded search terms. Otherwise, you're leaving money on the table for competitors and review sites to take for themselves. With a strong brand, and thus stronger branded search terms, bread-and-butter search tactics will have some incredible advantages. These advantages span both paid search and organic search tactics, affecting every aspect of search from the page rankings, search boxes, knowledge panel, and even map results. With branded search, search engines will recognize your main site, if optimized for best practices, as the most relevant site for searching by potential customers. Your home page and (if applicable) product category pages should rank the best for high-traffic branded search terms. Your title tags and meta descriptions should clearly display these branded search terms and relevant context that encourages searchers to make the decision to click. Once they do, the site should match the promise the SERP listing made with this copy. Your goal should always be to dominate the first page and to obtain the highest positions with optimal branded search efforts. Brands should not only focus on their branded terms at the user’s research and consideration phases of the funnel, but also the post-purchase phase. In the research phase, searchers will find strong, relevant brands first and foremost. Consider that they will also be looking for reviews, pricing and where to buy the product. This information should be available to users prior to their converting. But the job isn't done after converting. Post-purchase, many users will search for more information about the product using branded terms — installation instructions, how-to guides, proper cleaning and maintenance techniques, general product help and more — and these searches should lead to your website. All of the brand-related terms throughout the sales funnel have heightened search term relevance to affect consideration, conversion and continued use. If you plan to own as much real estate on the SERPs as possible, paid search is an essential tactic to earn qualified leads. 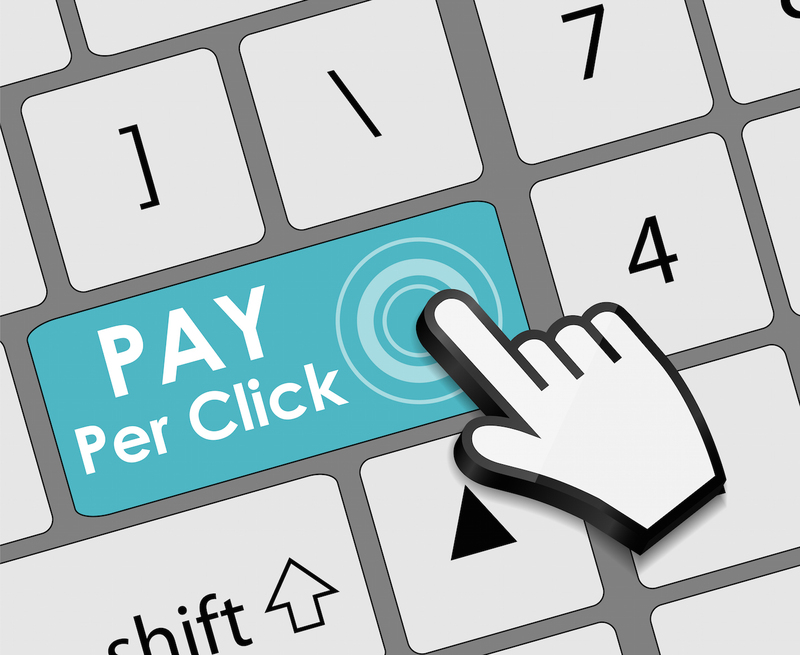 Even if you have obtained the top ranking in organic search results, research suggests that having an ad can produce incremental clicks. With little competition, it's pretty easy (and cheap) to own these paid search spaces. With branded search ads, you should be making use of ad extensions. These will provide more information to searchers, which can make your ad stand out and entice users to click. Certain extensions — such as sitelink, location or price extensions — can also increase your listing’s SERP real estate, particularly on mobile. Keep in mind that Google factors ad extensions into its Ad Rank calculation, so proper use of extensions can give you an edge over competitors who may be running conquest campaigns on your brand name. Organic sitelinks, the links that are displayed under the top organic search result. They're important since they occupy a lot of SERP real estate and can function as an outline of your site, helping users to navigate to your other top pages. Google determines whether it will provide sitelinks or not, so you don’t have direct control over this — but you can help Google out by submitting an XML sitemap and having your site set up with a logical hierarchy. You want to make sure map results are showing up for you if your brand or business has physical locations. To do this, you need to ensure that you’ve set up Google My Business listings with the correct NAP (name, address and phone) information. If your site has an internal search function, you then have a solid chance of a search box showing up on Google. If it doesn't display within the SERPs, you can utilize structured data markup per Google’s guidelines. The Knowledge Graph helps users discover business information quickly and easily. Google will pull this information automatically from trustworthy sites like Wikipedia or WebMD. With the right mix of search tactics, you can obtain a Knowledge Graph result for your brand. Make sure that you have all social channels, a solid description, reviews and accurate information correctly displaying in the eye-catching Knowledge Graph. It's no longer in dispute that Google places a premium on branded websites when it comes to choosing the pages to display in its search query results listings. And from Google's standpoint, this practice makes sense. The search engine's goal is to provide users with the best possible results, and there's no doubt that some users prefer the "known quantity" of a branded website than the potential risk of an unknown competitor. Unfortunately though, this shift towards prioritizing branded results leads to confusion on keyword targeting best practices for SEOs and webmasters alike. If branding matters so much, should you abandon your traditional SEO keywords altogether in order to focus your efforts on branded phrases? If you're a new brand, should you make this change even if search volume doesn't exist for your branded keywords? Traditional SEO keywords represent the phrases you've chosen to target on your website based on their search volume and competition alone. You've chosen traditional queries like "online camera review" or "best women's shoes" because your keyword research indicates that you'll be able to get your website ranked well in the corresponding SERP and that you'll see an influx of natural search traffic as a result of your optimization efforts. Branded keywords, on the other hand, include search queries that reference your company's name or other branded elements specifically. In our case, "Single Grain SEO" is a branded keyword that we might target, while "SEO assistance" is an example of a traditional SEO keyword from which we could benefit from ranking highly in the SERPs. With Google's changes, companies are now responsible for including both of these different keyword groups in their marketing plans. But while there's no "one size fits all" solution that will provide the ideal balance of branded and traditional keywords for all websites, the following scenarios should help you to determine how to juggle these competing priorities on your own site. Suppose that you've recently launched a new startup. As such, there is no existing search volume for your company's branded keywords, as your brand name simply hasn't been around before. Building up brand recognition using other types of marketing. Since targeting branded keywords within your SEO efforts won't make sense at this point, focus your energies instead on targeting traditional SEO keywords. For example, if you've launched a startup in the personal finance space, you might target the phrases, "personal finance tool" or "online savings tool" (depending on your startup's business objectives). By targeting the phrases that you anticipate your users will be entering into the search engines with both your on-site and off-site SEO activities, you'll begin to build up the momentum needed in order to build familiarity with your brand. Over time, as consumers become used to seeing your brand name mentioned on the web properties they frequent, they'll be more apt to use your brand name in association with the queries they enter into the search engines. Now, suppose you aren't a young startup. Instead, you're an established company that's been carrying out digital marketing campaigns according to previously-known SEO best practices. 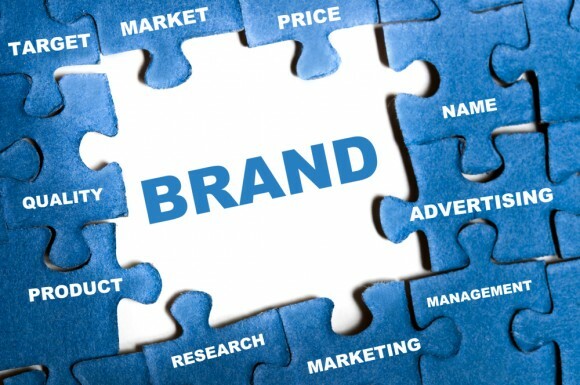 You've heard that branding is becoming more and more important in terms of natural search performance, but you aren't sure how to alter your current marketing strategy in order to satisfy both of these requirements. Chances are, if you're in this position, you aren't currently targeting any branded keywords-unless they happened to come up in your traditional keyword research. So should you really give up your existing keyword priorities in order to chase after branded search queries? Well, yes and no. First, it's back to the drawing board to research exactly how much search volume any existing branded queries are receiving. You can use any keyword research tool to do uncover this data, simply by generating keyword ideas based off of your brand name. As an example, if we put "Single Grain" into the Google Adwords External Keyword Research Tool, we'd likely get a handful of phrases that include our company name and receive search volume each month. If you do see instances of branded keywords receiving existing search traffic, consider optimizing different parts of your website for these keywords, as it would reflect poorly on your company to appear below others in these SERPs. However, if you do decide to replace traditional keywords in order to make room for branded queries, be careful to monitor your results to ensure that you don't see a reduction in natural search traffic or overall conversions. At the same time, consider optimizing a few instances of your branded keywords both on your website or on external web properties-even if these phrases don't have any meaningful search volume yet. Building links that showcase your branded keywords will help prove to Google that you're a known brand, regardless of whether your branding efforts have caught up to your aspirations yet. Finally, what are you supposed to do if you're a small fish trying to compete against known entities like Amazon, Zappos or Best Buy? After all, these companies likely have a substantial branded advantage over your seemingly-puny marketing budget. In these cases, you've got to take your branding efforts directly to the people! While you may not be able to command enough of a presence to score points against better branded competitors in the SERPs right away, you can make your case directly to consumers by marketing your business using social channels. On sites like Facebook, Twitter, Google+ and Pinterest, the barriers to attracting customer attention are much easier to overcome than trying to secure the same interest through your natural search presence. Of course, you should certainly consider adding some branded keywords to the anchor texts you use in both internal and external links, in order to prove to Google that you're a branded force to reckon with as well. But at the same time, don't wait around for these efforts to be noticed. Get out there, start promoting your brand on social networks and, with time, you should see an improvement in both your brand's recognition and your website's natural search performance. Really, no matter what size your business is, the power of branding is something you need to be aware of. Integrating branded keywords into your SEO approach will help your site to build recognition with both visitors and the search engines-recognition which is likely to play a larger and larger role in the way your site's authority is measured by Google in the future. 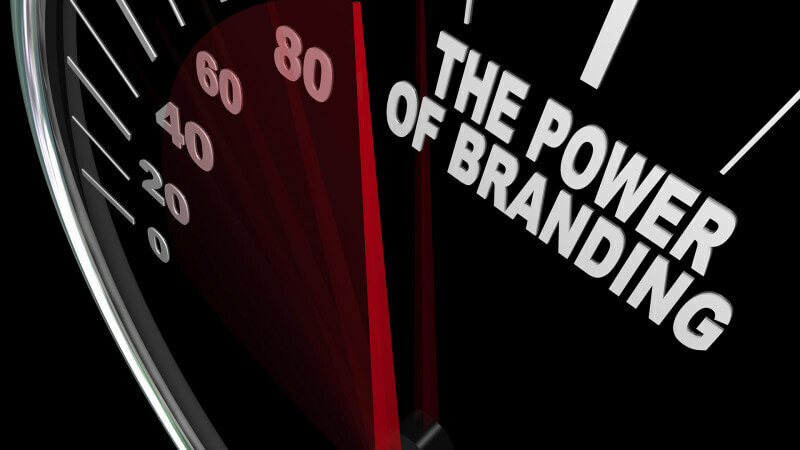 Branded searches are imperative and shouldn't be overlooked. Many assume that search queries involving your brand will naturally lead to your website, but that's simply not the case. Without optimizing your paid and organic search efforts to capture branded searches throughout the entire purchase cycle, you’ll be missing out on tons of potential new traffic and conversions. Owning as much real estate as possible for your brand is crucial, especially during high-traffic seasonality. Oftentimes, branded search terms can be the last channel touch point for consumers who are about ready to convert on one of your products or services. By incorporating branded search into your overall digital marketing strategy, you can quickly accelerate your brand, helping it stand out on the SERPs and provide a better experience to audiences.